As it goes with the Martial Arts‬, or physical training in general, you have to stick with the plan and trust the process through the plateaus. Martial Arts training is fun and extremely rewarding but let’s face along with the good comes the “bad”. Martial Arts training can be hard at times. It can be physically challenging, technically frustrating and sometimes the repetition required is down right boring. How do we get through it? How do we push through the rough patches in order to reap the long term and life long benefits of martial arts training? One: Remind yourself of your “why”. Why did you start learning martial arts in the first place? What has the training done for you so far? If you reflect on your experience, and others’, you will see that the benefits of martial arts training goes far beyond physical fitness, self-defense and camaraderie on the training floor. Next, we can all agree that perseverance (vs. stubbornness and resistance to healthy change) is a valuable trait and skill for both children and adults. I also think that many of us will agree that it is a skill that that is atrophying among younger generations and in our American society and community in general. We have the luxury of living in a near instant gratification world. Convenience is king. As long as you have the monetary resources, you can pretty much get anything you need want within 24 hours. This IS progress. We have greater access to goods and services than ever before, but at what cost? 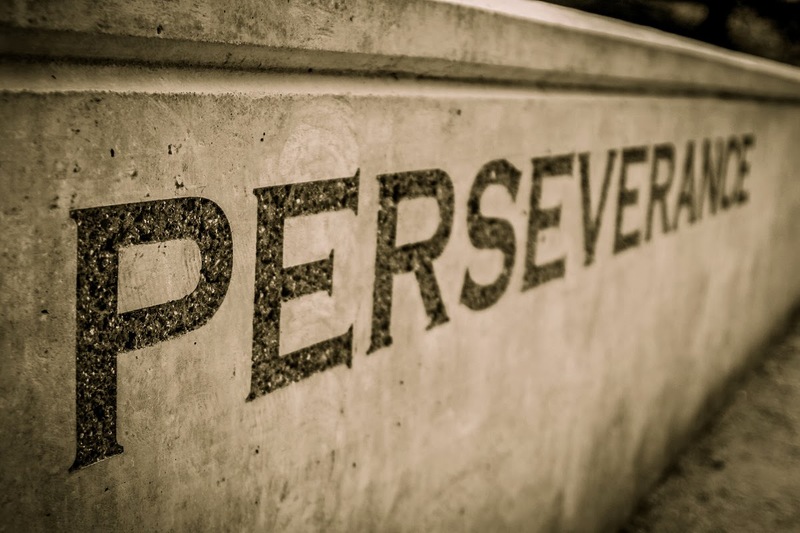 Why do we seem to have less perseverance than before? 4. The educators of Generations X and younger thought it was more important to build self-esteem rather than learning how to manage failure. So what are some tactical methods / solutions to help build the skill of perseverance? Here are some of my suggestions that pertain to martial arts training. You can adapt them to fit the rest of your life as well. This idea really is a foundational piece of the curriculum in our children’s martial arts programs. Our kids martial arts classes and curricula are split up by age so the “games” we play really make a lot of sense. The students develop the physical and mental skills associated with the martial arts while having fun and, for lack of a better word, staying entertained. Here’s the key: even though it’s fun, it’s not easy. The games/workouts are challenging and the students will only pass the daily “test” if they are successful. The students are rewarded for their hard work and also taught to “manage failure” and work harder for next time in case they didn’t pass. If your mindset holds training as drudgery, then it will be. However, martial arts training is the opposite, it is your escape from the daily grind. You might not think so, but a lot of adult martial arts learning is game based too! I also find that adult students develop healthy, competitive relationships with their training partners. They pull and push each other to work hard and do more. This is another foundational piece of martial arts. Think of the martial arts black belt. It is a huge mountain to climb. If a white belt (the first belt in our system which represents a total beginner) tries to jump straight from white belt to black belt he or she will almost certainly fail over and over again. This repeated failure will lead to frustration and eventually abandonment of the task at hand. Instead of trying to make one big step, the martial arts system breaks things into smaller steps. In our system we have ten interim steps, ten “color belts” between white and black. In this way, the student can incrementally work towards the coveted black belt. Will the student be successful at each intermediate step? No, not necessarily, but these failures will be smaller and easier to manage and eventually the student can be willing and able to persevere through larger obstacles. 3. REMEMBER THAT MARTIAL ARTS TRAINING IS NOT JUST ABOUT THE INDIVIDUAL'S JOURNEY BUT ALSO THE GROWTH AND HEALTH OF THE COMMUNITY. In most cases, we are learning the martial arts in a group setting (even if the group is as small as two). There is a lot of camaraderie and energy to be shared by training with a group. At the Dragon Gym we have a lot of different programs: Taekwondo, kids classes, Muay Thai, BJJ, Kettlebells, and Yoga. Most of those students never actually train with each other. But, all of those students still feel connected to each other as part of the Dragon Gym Community. When you are facing a rough patch in training, or just a plateau, remember that it’s not just about you. Your training partners and even non-partners are relying on you, to at least some degree, for their success, just as you have relied on them in some way in the past. Part of this comes down to trust. You need to trust your instructors, coaches and senior training partners. We’ve climbed the mountain and crossed the rift already; you need to trust the process we’ve laid out for you. It will get you to your goals. You can be confident that the adversity your are facing now and the obstacle your are trying to overcome in your have also, in some way, been faced by the aforementioned individuals. It is hard work. We make it so, because we know how we benefited from it. But, the nature of that work has also evolved as we provide it to you because we have learned from it ourselves. When you accomplish something, I mean really accomplish something, reward yourself. Don’t move the targets or make excuses. Complete the task. When you are successful you should, you must, pat yourself on the back. Otherwise all of this is for nought. How do you congratulate yourself? I don’t know. This will take some introspection on your part, but it is these (often small) self rewards that will continue to propel you throughout your training years. Martial Arts training can be a lot of things: physical exercise, learning self defense, sparring, competing, weapons training etc… And, there can be a lot of goals / outcomes associated with these types of training: getting in shape, looking better, winning medals, gaining self-confidence, making friends, eradicating fear, the list goes on… You have to ask yourself and then remind yourself (periodically and maybe often) of why those outcomes are important to you and how they improve your life as a whole. When you reflect on these things, you will see how martial arts training enhances all aspects of your life.